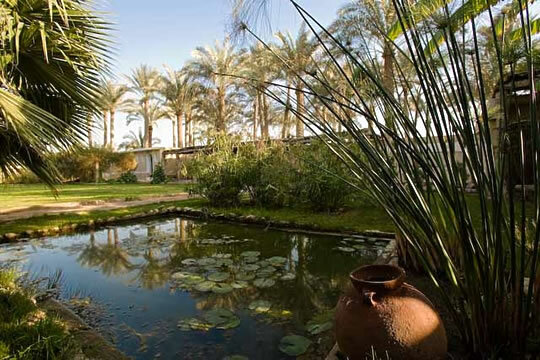 We are an environmentally friendly guesthouse and restaurant, situated at the foot of the Step Pyramid, in the heart of the ancient city of Men-nefer (Memphis) in the village of Sakkara, located 30Km southwest of central Cairo, Egypt. 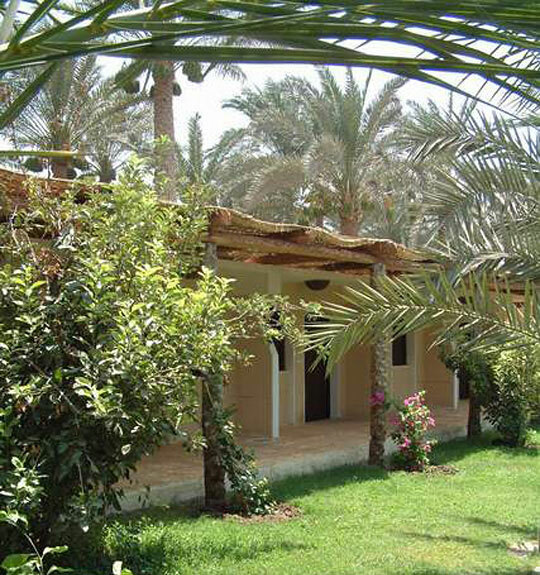 The Blue Lotus Guesthouse offers nine comfortable rooms in a quiet and serene atmosphere. Try our old Egyptian cuisine and our home country cooking...all locally grown, farm-fresh produce. We are family operated...ideal for individuals and small groups. 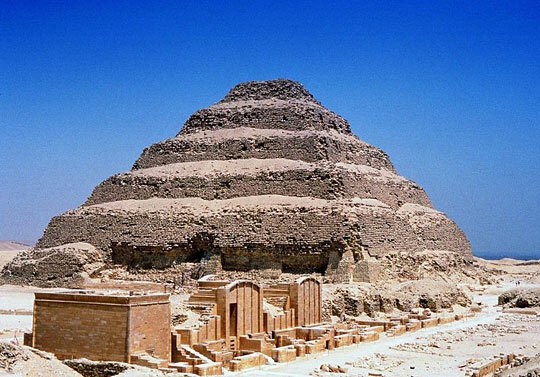 Here, the ancient Egyptians decided to begin their quest of mastering the art of pyramid building. Visit the many pyramids, by Jeep or camel, that lie within easy reach. Have you lost your balance with nature? Then join our wellness program! Enjoy a serene atmosphere with nature. Home of the rare Egyptian Blue Lotus. 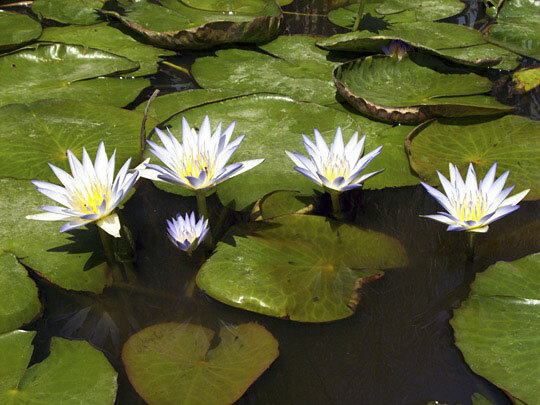 See our water gardens where we cultivate the namesake of the Blue Lotus Guesthouse.